Introducing oneself. 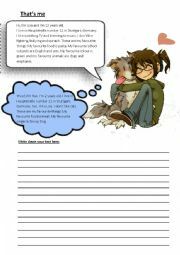 The students read two short examples (a girl and her dog introduce themselves). Then They are asked to write their own short introduction. 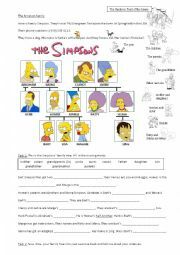 Look at the family tree and fill in the missing family words into the gap text. Make your own family tree and write about it. Where is the Easter bunny? 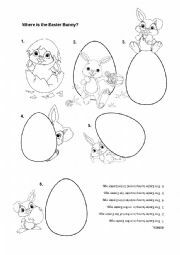 Prepositions of place (in, on, under, behind, in front of, next to) Easter egg. Answers included. Students ask questions, write down the answers and introduce a classmate to the class. 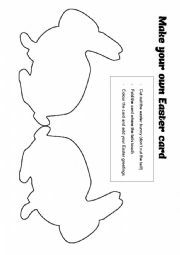 Follow the instructions and make your own Easter card. colour cut, fold and write. Saying what´s not happening /what the people are not doing at the moment. 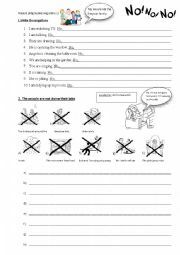 Practise the present progressive tense. The students find out info about Brazil and fill in the gaps. Answer key/ solution is included. 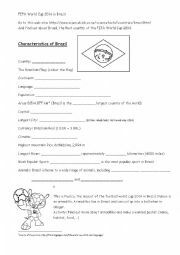 Brazil related worksheet. 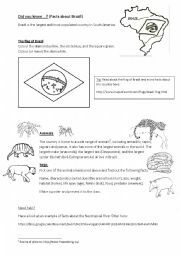 Students find out about an animal that lives in Brazil. They make a poster and present it to the class. 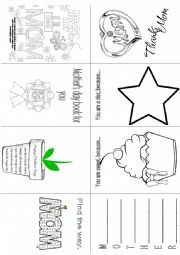 There is also a flag colouring task and a link where you can find out about the flag and the country.